But did you know that there are several natural ingredients for hair growth that can help you reach your hair goals faster? Try these easy treatments to achieve longer, stronger locks. All the miracle ingredients for faster hair growth listed here have been proven to work for many in terms of maintaining a softer, healthier hair without wasting money on chemicals. Avocado is a super-food that contains biotin, protein, iron, omega 3 fatty acids, and vitamins E and B. These are all nutrients that your scalp and hair need to stay healthy. 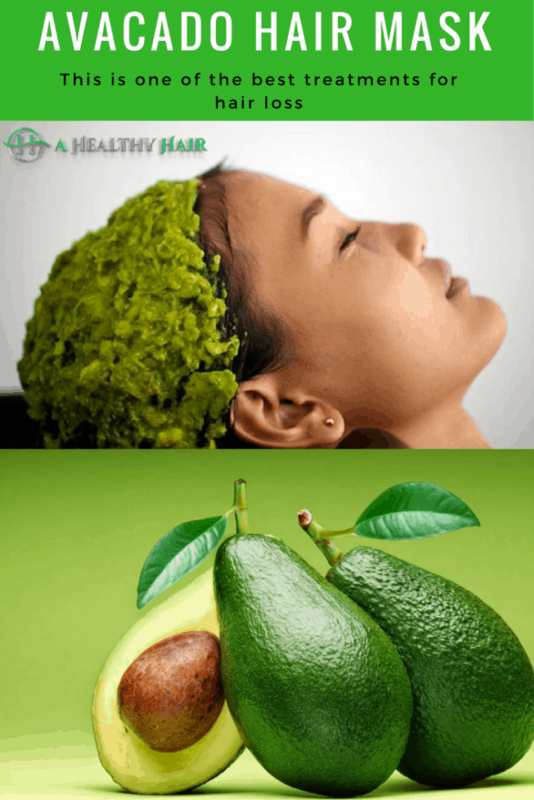 Using an avocado mask will help you grow hair faster, prevent hair loss, and leave your hair silky smooth. To make the mask, take a fully ripened avocado and cut it in half. Remove the seed and scoop out the inside. Mix the avocado with about 2 tablespoons of olive oil and mash it all up. Next, massage the mixture into your scalp and down the length of your hair. Cover your hair with a plastic bag or cap and let it sit for an hour before washing it out. Repeat this process once or twice a week to grow healthy long hair. Coconut milk also contains many of the same healthy hair nutrients as avocados. But it also does a fantastic job of moisturizing your hair and scalp, which will help stimulate the follicles and speed up hair growth. Just apply the coconut milk to your hair and scalp and let it sit for as long as you want, but at least for an hour. Shampoo and condition your hair after rinsing and repeat the process once a week. Have you ever used aloe vera to heal dry skin or sunburn? 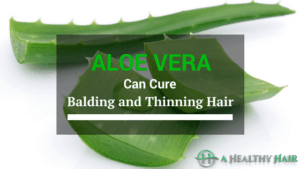 It can provide your hair and scalp with the same awesome benefits. Aloe will leave your scalp moisturized and dandruff free while also preventing hair loss and helping you grow out those long tresses. Just cut a large aloe vera leaf in half and rub the gel all over your scalp. Let it sit there until it is completely dry, then shampoo and condition your hair. You can use this treatment twice a week. It might sound gross to put onion all over your head, but the benefits are totally worth it. 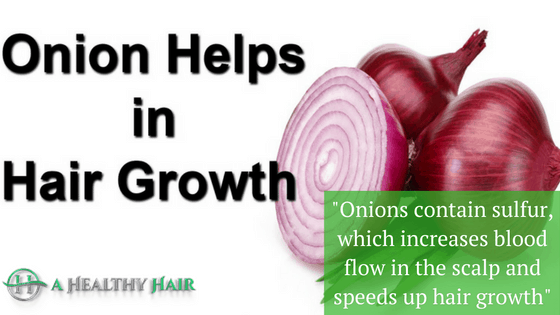 Onions contain sulfur, which increases blood flow to the scalp and speeds up hair growth. It also has antibacterial and antifungal properties that prevent dandruff and infection. For this treatment, cut an onion into chunks and toss them into a blender. Strain the solution and collect the juice. Obviously, onion juice does not have a pleasant smell so that you can add a few drops of rosemary essential oil. Rosemary is also beneficial to hair growth. To apply the onion juice mixture, use a cotton ball and dab it all over your scalp. Leave it on for 20 to 30 minutes, then shampoo and condition your hair. Use this treatment once a week and you can start seeing great results in as little as 3 weeks! For this treatment, you will need 3 or 4 gooseberries, cut up into chunks, with the seeds removed. Grind the gooseberries into a paste and mix with a little coconut oil. Put the mixture all over your scalp and let it sit for 30 to 40 minutes. When you wash it off, just rinse your scalp with cold water. Don’t shampoo until the next day. Follow up your shampoo with a deep conditioner to get the best results. What are the results? A moisturized head of hair and scalp, less hair loss, and stronger follicles. Plus, it prevents Onions contain sulfur. This fruit is sure to bring you stellar results. This might be the very best treatment to get stronger, longer, healthier hair. Castor oil provides vitamin E, protein, and Omega 6 and 9 fatty acids. These nutrients are proven to stimulate healthy hair growth and prevent split ends. Mix the castor oil with coconut oil to achieve a thin consistency. The ratio of castor oil to coconut oil should be about 2 to 1. Warm the solution on a double boiler and apply it to your scalp with a cotton ball. You will get the best results if you leave it on overnight, or even longer if you can. This would be perfect for a weekend that you know you just want to stay in, so you can leave the treatment on for a couple of days to really get the full effects of this amazing miracle ingredient. While all of these miracle ingredients are proven to help you grow long hair, there are other things you can do to speed up the results. You already know that you should avoid hot tools, and trim your split ends. Here are a couple more tips you may not have considered before. Washing your hair every day strips your hair of natural oils, and can lead to dry, brittle hair. You should try to wash your hair every other day or even every third day to keep your hair healthy. Does your hair get too oily to skip shampoo? Use a dry shampoo spray or powder. Apply the dry shampoo as the directions state, then let it sit for a couple of minutes and massage it in until it is no longer visible. The dry formula soaks up excess oil from the scalp and adds a fresh, clean scent. Your lengths might start to look and feel dry after the first day. A little-known hair product that will help keep your hair looking healthy and moisturized is dry conditioner. Most people don’t know that this hair product even exists, but now that you know, it’s a must-have. Just spray it onto the lengths and avoid the scalp, so you don’t get a greasy look. Taking a multivitamin every day will ensure that you get all of your necessary micronutrients that you may be missing out on in your everyday diet. Some people even swear by prenatal vitamins. It seems weird to take them if you aren’t pregnant, but they can help with hair growth, and even make your nails healthier and stronger. To maintain your results, trim your ends regularly, about every 6 weeks. Don’t bleach your hair, as that will open the cuticle and completely dry out your strands, leaving them brittle and fried. Try to avoid hot tools, but if you do use them, make sure you use a heat protectant spray. Eat a healthy diet and take your supplement every day. You can reduce the frequency of your chosen hair treatment but maybe use it once a month to keep up the good results. So try out one or more of this treatment that uses miracle ingredients. Let them work their magic for a month and let us know which treatment works for you. I like what you said about how castor oil may be the best treatment for people losing their hair. My husband is beginning to bald at the top of his forehead and is feeling rather self-conscious about it, so I want to help him with that. Thank you for the information about how castor oil provides vitamin E, protein, and Omega 6 and 9 fatty acids to stimulate hair growth and prevent split ends. Glad you like the article Sherry, thanks for stopping by. I like what you said about how castor oil may be the best treatment for people losing their hair. My husband is beginning to bald at the top of his forehead and is feeling rather self-conscious about it, so I want to help him with that. Thank you for the information.